You Are Here: Home > What Goes Into a Transmission Repair? There are few automotive repairs more terrifying to a car owner than the transmission repair. In many cases, this is an extensive, expensive, and intensive repair process that requires careful planning and a nuanced understanding of how a vehicle is supposed to properly function. If you are one of thousands of people every year whose vehicles require transmission work, you might be wondering what exactly went wrong, and what a mechanic will do to make your transmission work right again. Next time you’re looking for transmission repair in Albany, NY, you should know what is going to be done and how much time and money you should expect to spend on this important job. The most important first step – and one you can probably do yourself before ever seeing a mechanic – is to try and diagnose what is wrong with your transmission. Common symptoms of a transmission gone bad are trouble shifting and “sticky” gears, or if you’ve noticed your vehicle stalling or making strange grinding or banging noises as the engine runs. Maybe you’ve noticed a fluid leak under your hood, or have checked your transmission fluid and it’s looked dirty or spotty. These could all be a sign of one or a litany of problems, including contamination of your transmission fluid with particles or metal shavings, a leaky gasket, a broken valve, or overheating from belt friction or a dragging clutch. There is always a possibility that the trouble is not from your transmission at all, but from the computer that controls your automatic transmission. Sometimes a computer error can cause your transmission to stall or lag, and undergoing a full transmission rebuild could be a completely unnecessary expense. It’s always a good idea to take the time to check this first before proceeding any further. Whatever your transmission’s problem is, it is certainly not going to get better if you don’t take care of it right away. In the interest of not waiting until a small problem becomes a much larger, more expensive one, it’s best to quickly take care of any issues with an experienced transmission repair specialist at the first sign of trouble. Next time you need transmission repair Albany, NY, don’t wait – see an experienced mechanic as soon as possible. 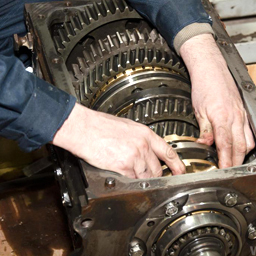 In the case of a transmission repair, there are often options for how extensive of a repair job must be done. In the instance that your transmission trouble is caused by something simple like a broken valve, a leaky gasket, or contaminated fluid, the mechanic may opt for a rebuild – that is, the careful disassembling, cleaning, and reassembling of each dirty or worn part to be re-used again. Here, the mechanic tries to salvage as many of the original parts as possible, only removing and replacing what is most drastically in need of maintenance. In many cases, a simple rebuild is all that may be needed. This does run the risk of missing some potential problem that could come up again later, which might cost more money in the long run; for many customers, however, this is a perfectly fine level of repair that will almost completely solve a transmission issue. For others, however, this may not be enough. 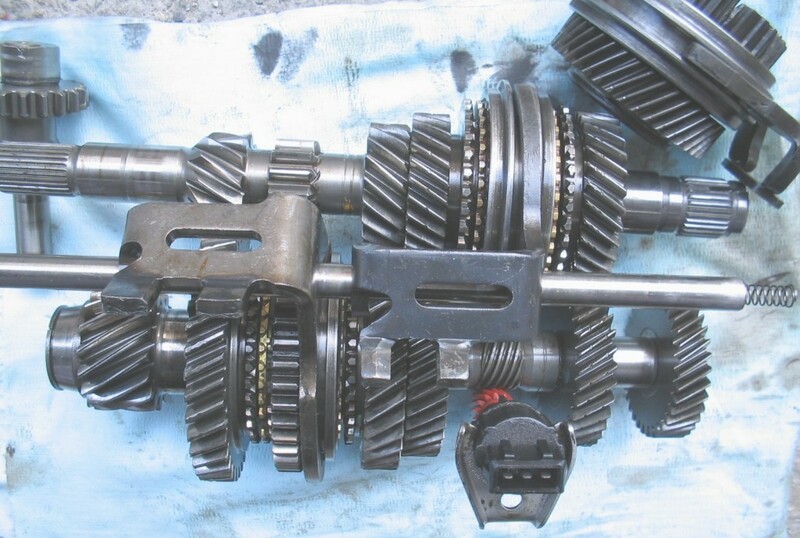 If your transmission is very old or has not had proper maintenance for some time, it is possible your mechanic might recommend a full transmission re-manufacture. This involves disassembling and re-machining or replacing every part of your transmission, regardless of each part’s operating quality. This is usually a much more expensive procedure, requiring a lot more labor and often many more parts. The benefit, however, is that you can be sure the job is done right, with no problems overlooked. A re-manufactured transmission also usually come with a fairly comprehensive warranty, which can definitely put some consumers at ease about transmission problems in the future. The first thing an experienced mechanic will do once there has been a preliminary diagnosis is determine how much action is needed. Generally, it is good practice to remove and drain the transmission entirely. This can be accomplished by disconnecting the transmission from the engine and allowing it to drain out all transmission fluid. The transmission is a heavy, messy piece of machinery that much be handled with extreme care. It is often best to let a professional, who is outfitted with the proper tools for the job, handle this procedure. Unless you are an experienced mechanic with the proper service rig, leave this part to the pros. The mechanic will probably then remove the torque converter, which transfers energy from the engine to the wheels. This is often re-useable, and the mechanic may simply choose to disassemble it, clean it thoroughly, and then rebuild it for reuse later. If there is extensive damage to the torque converter, however, the mechanic may opt to remanufacture it or replace it with a new one. A good mechanic will go through each part of the transmission using this method, cleaning or replacing each part as need be. He or she will likely check the valve body, the front pump, the accumulator piston and spring, the bands, the shaft, the clutch, and the transmission case. The mechanic should empty and clean the oil pan and gasket as well. 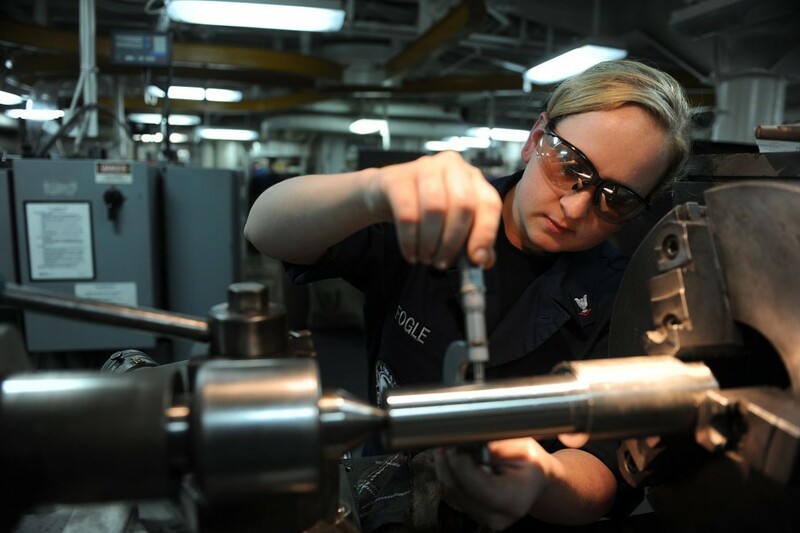 When each part has been fully cleaned or replaced, the mechanic will begin reassembly, followed by a compressed air test to check for any missed leaks or cracks. He or she may choose to test the transmission in a dynamo to ensure it works prior to replacing it back into the car, but the transmission can also be tested by a quick test drive. With fresh transmission fluid, clean or new working parts, and a careful reassembly, your transmission can be back in running order in no time. With all of this done, your transmission problems should be well behind you and you’ll be able to get back on the road, driving the vehicle you know and love. Keep these tips in mind the next time you find yourself in need of some transmission repair Albany, NY. By knowing what to do and when, you can end up saving yourself some serious money – whether it’s by knowing what to do for his problem, or knowing how to avoid the next one.